Often stronger than most hardwoods, bamboo has a look all its own. Bamboo has been making inroads in the US as a great alternative to hardwood. While it is especially attractive to those seeking an environmentally friendly floor, bamboo stands on its own for trend right looks and performance. Bamboo has been cultivated for more than 4,000 years and has been used in everyday life for centuries. It is very durable—in fact, bamboo flooring is harder than oak. 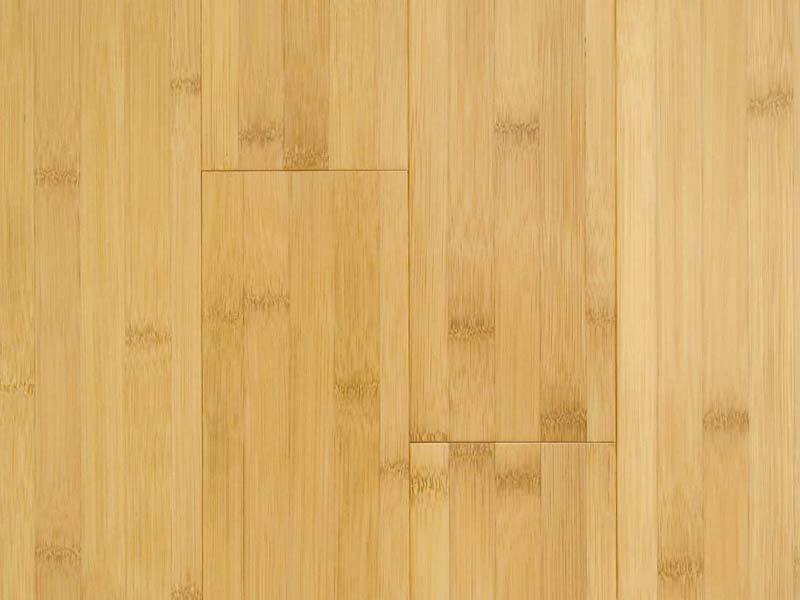 There are essentially three styles of bamboo flooring: One is natural and has a natural yellow color; the next is steamed or carbonized for a deeper tan color, and last, what is called strand bamboo where individual bamboo strands are set in binding agents and cut into flooring planks. 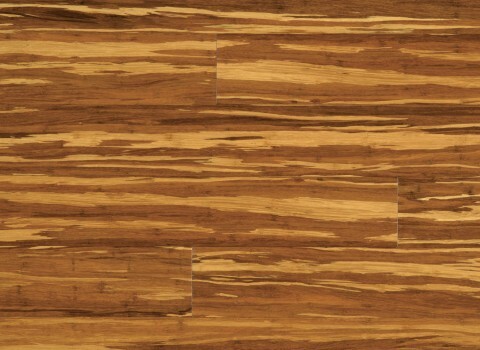 Strand bamboo provides a more variegated look with distinct visuals and is the toughest of the three. Extremely long wearing, bamboo has become the chic floor for many installations and stands up to high traffic while maintaining its natural beauty. Strand bamboo is one of the hardest floors available. It comes in two formats -- horizontal and vertical. Vertical strand gives a more random appearance, and often looks like tigerwood. The one drawback to strand bamboo can be the amount of binding agents/adhesives used to get the loose strands of bamoo (which is a kind of grass) to be made into planks. However, for most floors sold in North America, these adhesives are captured within the floor boards themselves and meet the standards established by the Environmental Protection Agency and the California Air Resources Board (CARB) for emissions. Look for either of these certifications to ensure the product is safe for your home. There are several manufacturers of bamboo. The brands that come to mind are Armstrong, Cali, Mannington, Hawa, Teragren, USFloors, Wellmade – you can feel confident in purchasing bamboo from any of these manufacturers, although I'm sure there are many others that make reliable products too. Keep in mind that bamboo is primarily made in Asia and is not produced domestically. That also means that there are few environmental regulations in place, so it is imperative to buy from a supplier you trust. Because bamboo is a natural product, it is unpredictable in color consistency. To avoid color “blotches,” especially for do-it-yourselfers, you might want to work out of separate cartons, alternating planks from each carton. Some folks use different color lines of a similar product for a pleasing collage of shades. 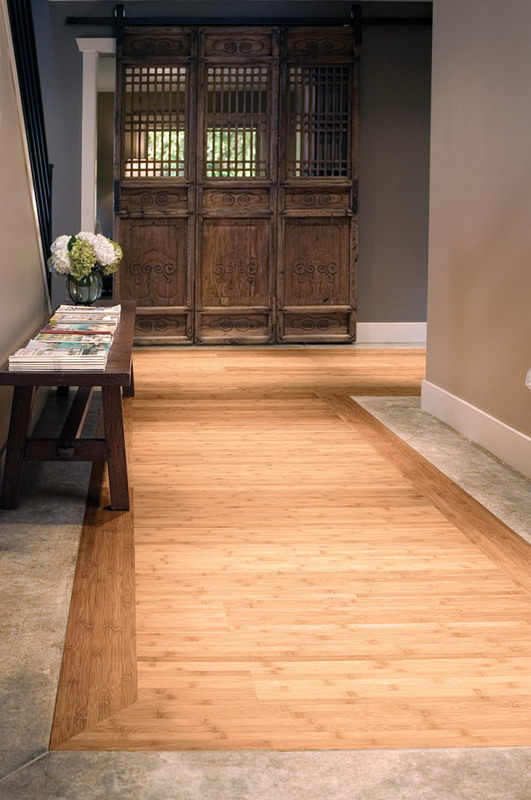 Photos: National Wood Flooring Association (NWFA), Teragren and Hawa Bamboo.